Approximately one in two American adults takes aspirin on a regular basis. It has been the recommended medication for patients at risk of heart attack and stroke and for survivors of these events. However, new research presented at the European Society of Cardiology 2018 this weekend challenges existing recommendations for the use of aspirin in adults. The United States Preventive Services Task Force recommends the use of aspirin to prevent heart attack and stroke among people at moderate risk for these events. Aspirin is also recommended to prevent heart attack and stroke among those who already suffered from one of these events, according to the American Heart Association. What do you need to know about the new research? Two important studies were presented at the European Society of Cardiology meeting suggesting little-to-no benefit among those taking aspirin to prevent heart attack and stroke. Both of these studies were done in people taking aspirin to prevent heart attack and stroke who had no prior history of these events. The ARRIVE trial published in The Lancet, sought to determine both the potential benefits as well as the risks of taking aspirin for people at moderate risk of heart attack and stroke. The trial included more than 12,000 people and researchers found no benefit among those taking aspirin to prevent heart attack and stroke. Instead, they found a slightly increased risk of bleeding events — mainly stomach and intestinal bleeding. The ASCEND trial published in the New England Journal of Medicine asked a similar question, but specifically focused on people with diabetes. This trial included more than 15,000 people and researchers found a small benefit in preventing heart attack and stroke, but the benefit was countered by an increased risk of bleeding events. Additionally, aspirin did not reduce the risk of any type of cancer during the study period, in contrast to results from other aspirin studies in the past. What do these studies mean for people? People who are currently taking aspirin should not stop taking it without talking to their physician. The new findings highlight the need for shared-decision making between patients and physicians on this topic. The authors recommend that the use of aspirin should involve a thoughtful discussion between a patient and their doctor, given the need to weigh heart attack, stroke, and possible cancer prevention benefits against the bleeding risks, patient preferences, cost, and other factors. Each patient will weigh these benefits and risks differently, and the decision should be made in partnership with physicians. It is also important to remember these results don’t alter existing guidelines. Is there reason to be skeptical? Potentially. While these were both well designed studies, they included patients at low-to-moderate risk of heart attack and stroke. 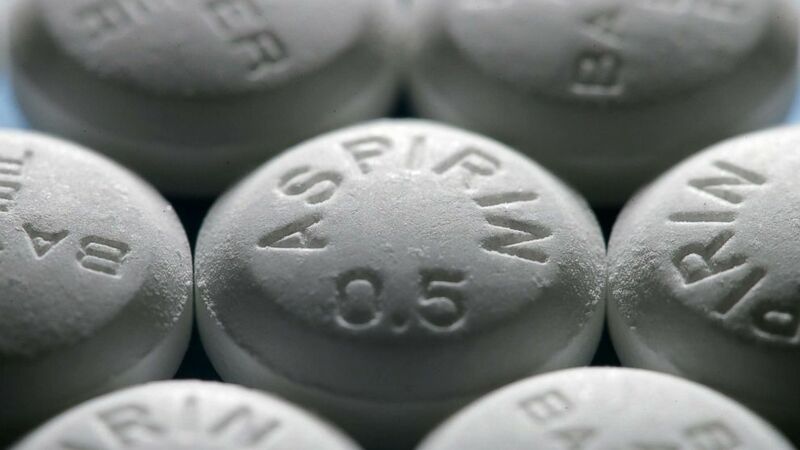 The authors caution that any protective benefit of aspirin may have been overshadowed by the protective effect of other medicines that patients were already taking to improve high blood pressure, cholesterol, and diabetes — all of which increase the risk of heart attack and stroke. Taking these medications may have reduced the risk of heart attack and stroke to the point that aspirin had little chance of providing additional benefit. While the jury may still be out on the net benefit of aspirin, these studies signal the need to take a more holistic look at this medication before deciding whether aspirin is the right medication for you.